I'm cautious to say it, but this term may not be as bad as I had originally thought. So far, my due dates are spread out, my exams seem straight-forward, and the subject matter is applicable and easy to grasp. Of course, that could all change in the next day or two, so I should really hold off before I jinx myself. But in the meantime, you may have noticed that I've had a little extra time to write on the blog again (yay!) and do other things like spend time with D (another yay!) and friends. It might be one of the nicest winter terms I've had yet -- oh wait, there was that time in college when I spent the entire month of January in Europe. So maybe this doesn't quite compare. -the big one: the 2015-2020 dietary guidelines FINALLY came out! It took the committee sooo long to produce them (you may have noticed it's actually 2016 now!). I'll be discussing this more in a post later this week. -this is so promising: a Mexican soda tax implemented in 2014 has actually reduced the amount of soda being purchased. -these bean-based stews from the NYT sound wonderful for the cold, dark winter nights of January. -enjoy your food as you eat it and benefit by feeling fuller faster (article by Ellie Krieger, dietitian). This has been said before, and a study was done to help shed more light on why that might be. -I can't wait to try this chickpea shawarma from Minimalist Baker. 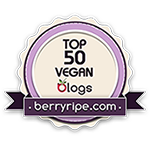 -here's a great list of some vegan items you can find at -- of all places -- Target! -I never thought of putting acorn squash into a "burger" - especially with adding cranberries and pecans to it to make it particularly seasonal. From the NYT. Yum. -look at these amazing Earl Grey macarons from Morsels and Moonshine. They look heavenly. -I somehow did not know that this completely vegan resort in California existed. The prices are about what you'd expect, but the resort touts itself as eco-conscious and inspiring. I'm sold. -I love winter squash, and finding a creative way to prepare them, other than sautéing or roasting, is a great idea for me. This twice-baked butternut squash with homemade vegan cheese from the NYT sounds awesome.